Curing meat is an age old process. 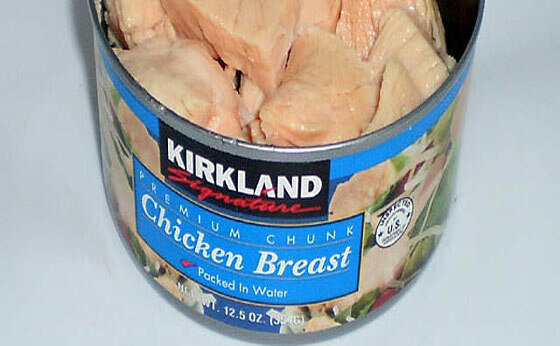 It has been used to preserve, intensify flavors, and make unpalatable cuts of meat acceptable for consumption. Most of us don’t worry about the preservation aspect so much anymore, but if you’ve ever made a marinade then you’ve dabbled in curing (perhaps with out even knowing it). In this post I’m going to go over some of the ingredients needed to cure meat and introduce a couple of salt mixtures that can be very useful in curing your meats. I’ll also go over some things that could be kept in your food storage. First of all there are a couple of items that are needed to cure meat. You don’t have to use each of these items when you cure, but they all play an important part in the curing process. Lets talk about salt first. In terms of curing, salt’s primary purpose is to kill the microbes that inhabit the meat you are trying to cure. Of course a very nice side benefit is that your meat tastes better in the process. There are two primary ways to apply salt to meat: a dry cure, and a wet cure. The wet cure (brining) uses water and salt. The meat is submerged in the brine until done. The length of time to cure really depends on what you want to do with the meat. If you are trying to store the meat then you need to make certain that all harmful microbes and bacteria have been killed off. This will take longer and of course depends on the size, weight, type of meat etc. If you are curing for flavor and are going to be cooking the meat, then it is less important to kill the harmful bacteria. You just need to give the meat enough time to pull in the salt and other flavorings that have been applied. The main reason for sugars in cures is to help compensate for the harshness of the salt. Additionally the sugar brings flavor to the meat. Think maple syrup when curing bacon. 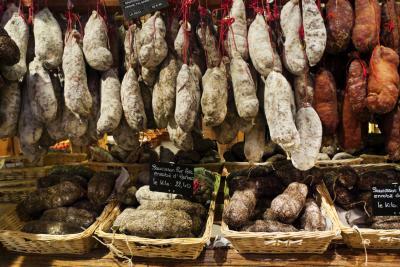 “Nitrite does a few special things to meat: it changes the flavor, preserves the meat’s red color, prevents fats from developing rancid flavors, and prevents many bacteria from growing, most notably those responsible for botulism poisoning” – taken from Charcuterie pg 38. You generally won’t store nitrites or nitrates by themselves but they are found in many commercial curing salts such as Mortons Quick Cure, InstaCure and DQ Curing Salt. One common cut of meat that really benefits from salt curing with nitrites is a brisket. If you let that set for a week then the brisket will cure, and will turn the nice red color that is associated with Corned Beef. Smoke is used in curing for two reasons. Really the main reason any more for smoking is to apply flavor to the meat. The smoke also helps preserve the meat. Generally hard woods are used to help smoke the meat. Ham, for example, is a smoke cured meat. You can also use smoking as just a flavor enhancer. The weekend BBQ jumps to the next level when you start smoking your meat. Salt. The salt that you plan on using for curing should not have iodine. That will mess with the flavors of the cure. I don’t have any direct recommendations on the amount to store, but most simple recipes can call for 2 cups of salt or more. If you plan on doing a lot of curing then be sure to store plenty. Plus if you have extra you can use it as a barter item. You really should have a few different kinds of salt. Kosher salt is great. Keep lots of this on hand. You can also get regular table salt (just with out the iodine). You should also have some curing salt such as the Mortons Quick Cure or InstaCure that were mentioned earlier. You don’t usually need as much of this since a little goes a long way. Sugar. In most wet and dry cures the sugar is about half the amount of salt used. So store half the amount of sugar that you plan for salt. Wood. This one is hard since it is bulky. You can get everything from wood chips, chunks and of course whole logs. I generally keep several bags of my favorite woods (maple, mesquite, hickory). In a pinch you can also store liquid smoke, but it doesn’t always work as well. Like most preparedness matters you really should practice curing before you need it. The upside is that the results are delicious! With the help of the curing process they all taste fabulous. Do ensure that when you approach sources of supplies that they are not already under someone else’s control, do not take unnecessary risks its better to go elsewhere or try again another day. Avoid confrontation and unnecessary contact until things get as normal as possible, be prepared to barter for supplies. Don’t assume no one is left to claim legal ownership of what ever you find. Identify and keep records of any useful resources that may be useful to your group post collapse, along with 6 figure grid references. Its often prudent and beneficial to at least have a look at the target via Google Earth, a picture is often worth a thousand words. Highways agency Solar and Wind power generators used to power remote traffic information signs. Suppliers of portable generators, micro wind turbines and PV array suppliers. Bolt together security fencing, often found around schools and small industrial estates. Suppliers of wood and multi fuel stoves. Water Supplies, Tanks, ponds, reservoirs, streams, wells (including capped ones) artesian and aquifer sources. Water filtration and purification equipment and stockists. Food stores, supermarkets, distribution centers, regional warehouses, bulk buy outlets, grain stores, farm equipment and grain suppliers etc. Rabbit farms, Rabbit warrens, Fish farms, angling clubs, Small scale special breeds farms ( Alpacas, miniature pigs etc). Off road and agricultural vehicle suppliers. Camping and Out door equipment stores and suppliers, Military clothing and equipment suppliers. Cobblers, outdoor footwear manufacturers and suppliers. Remote or isolated housing that is conducive to self reliance, IE has things like large established vegetable gardens, functioning large chimneys and fire places, ultra insulated, double/ triple glazed, multi-fuel heating / cooking facilities, has a well or other clean (gravity fed) water supply, solar panels, wind turbines, methane digesters, local supplies of fuel, defendable, etc other facilities like outdoor residential centers, outward bound centers, alternative technology centers, camping hostels, retreats etc are worth considering. Check out footpaths, bridle ways, navigable water ways, canals, rail lines, broadcasting masts, radio masts, wind farms, etc for both salvageable supplies and suitable bug out or safe transport routes. Similar to other emergency drills such as earthquake, fire, and tornado, this drill is intended to familiarize your family with a difficult situation. They may also become more confident and prepared to deal with other challenges that could arise. Use wisdom and caution when trying out this challenge. Keep members of your family well hydrated and it will be a good experience for everyone. Consider living at least 24 hours with only one gallon of stored water per family member per day. For example: a family of four would need to live off of 4 gallons of water for a 24 hour period. You may be thinking this will be easy. Anyone can go without cooking or extensive cleaning for 24 hours. You can expect that your children will have no problem drinking less than a gallon of water per day. 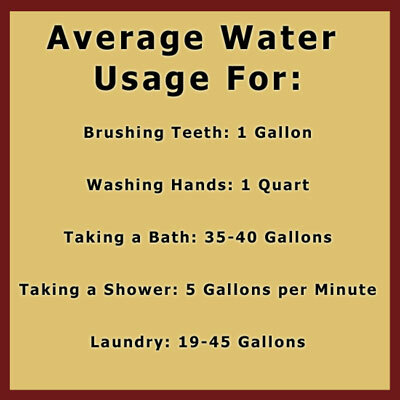 However, consider average water usage in non-emergency situations. When you begin to consider sanitation, cooking, and washing clothes you'll notice that one gallon of water is an absolute minimum. After completing this challenge you may want to take some time to evaluate what occurred and re-evaluate your family's preparedness plans. Were the proper tools available to cope with limited water use? Would one gallon of water per person per day be sufficient for your family? Most recommendations are for 2-5 gallons of water per person per day in an emergency. Spend some time discussing the results with your family and adjust your plans accordingly. Click here for more about how this challenge can help you and your family be prepared. OscarDelta Go Tube with wall mount attached. OscarDelta has released a wall mount dock along with their new Go Tubes, allowing you to store the Go Tube securely and ready to move. The wall mount is a no-nonsense plastic bracket that fits the 20mm diameter Go Tubes perfectly. 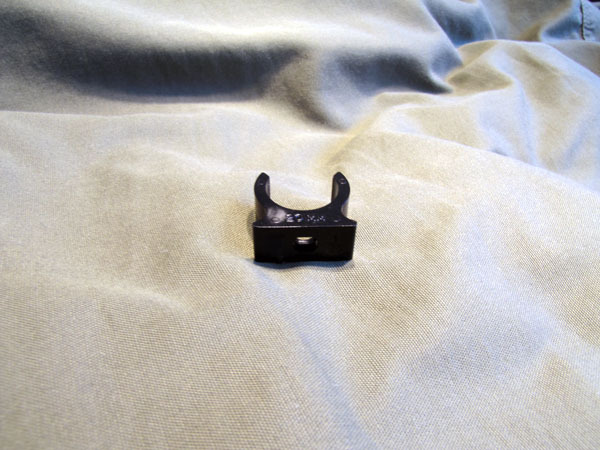 It holds the Go Tube tightly enough for vertical or inverted placement, and needs only a single screw to be secured. The wall mount is made from sturdy plastic and should hold up to use well. A standalone of the wall mount. The wall mount is affordable, too - you can add two to your order for a measly £1. Install the wall mount in an out of the way place and add a Go Tube stuffed with supplies. Attached to a closet wall or ceiling, backside of a dresser, underside of a desk or some other out of the way nook, the wall mount allows you to have your bug out tube ready to go at a moment's notice. In addition to your consideration of our sponsors who offer excellent food supplies for long term storage, if you are stocking up your food pantry to withstand a period of ‘down time’ just in case you cannot get to the grocery store for awhile, or worse, for a disruption or collapse in the food supply distribution chain, consider adding some basic grocery-store canned foods from the following categories. Keep in mind that when considering which canned foods to stock up on, you should be considering calories as well as a balance of food types. You should look for canned foods with a decent amount of calories while attempting to balance protein, vegetables, grains, and fruit. Note that some canned foods contain very few calories, which although great for a healthy diet, they may not bring you the best bang for your buck (survival preparedness is not necessarily ‘weight-watchers’…). Vegetables, veggies with meat, with grains, look for higher calorie soups. Even with the Mercury risk, once or twice a week consumption OK according to many reports. These usually have lots of calories and quite a variety of mixtures with vegetables. Brown rather than green will typically contain more calories. Although somewhat low in calories, corn, carrots, etc… will offer a variety of flavor to add with your other foods. For the sweet tooth, a good desert, and a healthy supplement to your diet. Also, for optimum food rotation efficiency, it is always best to purchase what you normally eat, so that you will consume through your food storage over time, while replacing it with more of what you normally eat. This way, there would theoretically be no spoilage over time. You are in survival mode, and are located near a river or lake whose shallow waters are revealing fish lounging or swimming lazily near shore or around the weeds – within reach – if you could just catch them. If you have a fishing pole and gear, you are all set – all you need to do is to scavenge some bait. Without fishing gear however, your choices are limited. You could fashion a net if you had the right materials, you could try to catch the fish by hand (good luck with that), or you could try to spear the fish. I have recently been watching and enjoying a TV show called ‘Dual Survivor’ on Discovery Channel (Dave Canterbury and Cody Lundin), which has provided lots of real-world survival experience (and entertainment), as well as lots of interesting survival ideas. During part of one recent episode, David Canterbury fashioned a fish-spear which he proceeded to use with a make-shift ‘bow’ while harvesting several fish for a delicious meal. Since he had made the fish-spear from bamboo (a very straight growing hollow-strong wood), and since I have some bamboo growing in the corner of the yard from an expanding growth in the neighbors yard (the stuff spreads like wild fire), I decided to give it a go and make one for myself. After all… practice makes perfect. The following video illustrates one way to make a fishing spear, which you could use by hand to spear fish, or with a bow for added velocity. The fish spear could be made of other wood than bamboo, given enough elasticity, strength, and ‘straightness’, and is fairly easy to make. Find a straight piece of bamboo (or most any wooden branch) that narrows to about the size of a pencil or slightly larger. Split the end (lengthwise) with a sharp knife into four splinters. Sharpen each splinter to a point. Use small wedge pieces to insert between the ‘splits’ in order to spread the tip somewhat. Use some type of thread or string to wrap around the wedged diameter so to strengthen the spread-out tip section. Remember, when looking at fish in the water, there is light ‘refraction’. The light bends through the water and the fish will appear slightly further ahead than they really are. Aim slightly behind for a good shot! Clean water is a precious commodity. We would die without it after 3-5 days. Pets and plants need water as well. One solution for getting clean, free water is making and using a rain barrel as part of your prepping strategy. It may be a key element for successful survival gardening. For more on this, check out the following article. It’s from Ag Opportunities, Volume 22, Number 6, June 2011, the newsletter from the Missouri Alternative Center. Just in the past three years I have incorporated three gardening practices into my yard and garden-raised beds, compost bins, and a rain barrel. I absolutely love all three and encourage you to do the same. People are now encouraged more than ever to use rain barrels as a way to protect our lakes and rivers while saving money on water bills. So, what is a rain barrel? A rain barrel is a container used to catch rainwater. It is placed at the end of a home’s guttering downspouts to catch and store rainfall from the roof. Using rain barrels is not a new practice. People have been using containers and barrels for hundreds of years to catch rainwater, only now days they are a little fancier than they were back then. Instead of letting the water flow down your driveway and into a storm drain, you can collect it. Just a small amount of rain of less than half an inch can easily fill up a 55 gallon rain barrel. There are several benefits to using rain barrels. You can use the water collected to water your garden or container plants. It is estimated that nearly 40 per-cent of household water is used for lawn and garden maintenance. Rain barrels can be used in areas where you may not have a convenient spigot. Rain barrels can be a very effective tool against basement water problems, and they can prevent run-off from potentially washing harmful chemicals and pesticides into local streams and rivers. Clean your barrel before using it. It is best to use a food-grade barrel. Plastic is best because it will not rust. Do not use a barrel that has been used to hold petroleum products or chemicals! They may leach toxins into the water. Water collected from rain barrels should not be used for drinking, cooking or bathing. The lid should be secure so children or animals do not fall into the barrel. You should disconnect the barrel during the winter and attach it in the early spring to fill it for use. You will need to elevate your rain barrel slightly to make access to the spigot easier. The screened louver vent will prevent mosquitoes from breeding in your barrel. Consider joining multiple barrels for additional capacity. You can add goldfish to your barrel. Rain barrels are easy to make and it’s much cheaper than buying one. All you really need is a 55 gallon barrel, a spigot, overflow valve and a drill and bit. If you are from the northeast region of Missouri, you can find 55 gallon barrels at the flea market in Rutledge for $10. You can get the spigot and over-flow valve at any hardware store. Make sure the valve has pipe threads on one end and hose threads on the other end. You want to be able to attach your water hose to the overflow valve and the spigot. But, you need pipe threads to insert them into the barrel. You will probably want to drill a hole with a 15/16 inch bit. If you drill your hole this size, you will want to purchase a 3/4 spigot and valve. You basically drill a hole about 3 inches from the bottom of the barrel and put in your spigot, and drill a hole about 3-4 inches from the top of the barrel for your overflow valve. You can go on the internet to find plans on how to make one. I love having a rain barrel. It is located about 20 feet away from my garden and since I do not have a spigot on that end of the house, I use the water in the rain barrel to water my garden. I also use the water from the barrel to water my container plants and plants in my raised beds. If you don’t already have one, try making one this summer. You are sure to love having one too! Like so many folks did, I bought a copy of M.D. Creekmore’s book, Dirt Cheap Survival, One Man’s Solution . I read it and loaned it to Tonto to read. I had intended to write a review a few weeks ago but put it off. I really doubt that any review I do on the book would be much different then any of the others you might have already read. I was discussing the book with a friend of mine that lives in Missouri. He is also a writer of outdoor and survival articles. I mailed my copy to him to read and also mailed my old copy of Brian Kelling’s Travel-Trailer Homesteading Under $5,000. Both books tell how the authors converted a travel trailer into their main living quarters. They have a similar approach to wanting to live frugally and not have the monthly expenses that drag most of us down. Creekmore’s book has a little more detail on the power system he uses to live off grid. Kelling installed his own septic system and Creekmore uses a composting toilet system. Kelling has to haul water and pump it while Creekmore has a spring for his supply, but still has to pump it. Between the two books you can get a good idea on it what it would take to make a travel trailer your permanent home as a retreat. Tonto, Toolman, and my sons all have had numerous discussions on my place as a retreat. There are a ton of pluses for moving to the cabin if TSHTF, and a few negatives as well. We take a generator up for deer season and use it to heat the cabin but most of the time the cabin is an “electric free zone”. The big drawback to my trailer as a retreat is that without power it is very hard to heat the place. It is fine for eight months out of the year but we need power to run the furnace or we freeze during hunting season. We have looked into wood stoves and other sources of heat but the trailer just doesn’t have the room for anything other than what is there. Kelling wrote his book based on his place in the desert while Creekmore is snug in the hills of Tennessee. You would need a little from each book to make a travel trailer retreat in Michigan. If nothing more than allowing your mind to have an academic debate about living in a trailer for survival I suggest you read either of the two books, or better yet, both. Call it a survival retreat, hunting cabin, or summer cottage, a place away from the crowds and turmoil of the cities is a dream most of us share. Some folks plan out a survival retreat in such detail that long-term storage, over lapping fields of fire, and fuel supplies are worked out. Others, like myself, approach it as a vacation spot that can be readily converted if need be to an alternate living location. This cottage did however provide what we needed. A few steps from the back door was a pump with clean, clear, cool water. All that was needed was a strong arm and a few minutes to fill the bucket. Cool summer nights were warmed by the glow of the fuel oil lantern that was hung over the dinner table. This lantern produced enough light to fill the cottage and allow card games to be played well past a normal bedtime. The heat from the lantern warmed the place and fuel was cheap. Dinners were usually planned around the nightly campfire, but the old propane stove would serve if needed. During those periods of time that my father was laid off from work we would spend a week or two stretch of time at the cottage. Living was easy and cheap. Fish from the lake provided many meals and nuts and berries from the woods around the place were gathered and baked into pies. Fall small game season produced meat and poultry in the form of rabbits, squirrels, pheasants and grouse. My Dad and I talked often about living up at the cottage if the world went to hell in a hand basket. After high school and moving into the world of college and working, my trips to the cottage were few and far between. Usually they were only to go up and help Dad secure the place from the last break in that occurred. Sadly, I let the cottage fall into neglect and vandals took care of the rest. Broken doors and windows let the weather in and after a few years the cottage became uninhabitable. Mom kept the land after Dad’s passing and I started taking my sons there for a few weekend camping trips. Soon the idea of getting the cottage back in shape was talked about, but the northern winters did a good job of making the place beyond repair. With the approach of Y2K and talk of chaos renewed my thoughts of a survival treat. I discussed this with some buddies of mine and ideas of small barns to large military tents were discussed. Like the old saying about when all is said and done, there is more said than done, Y2K came and went and still nothing was done about the cottage. One of the guys that I had discussed the ideas of a cabin in the woods with called one fall afternoon and suggested that I drive out to his campground and look at a travel trailer that they were giving away. Giving away, free for nothing, giving away? Yup, just make sure it is gone before Halloween. My youngest son and I drove out and looked at the place. I couldn’t believe my good fortune. Although it was a 1955 travel trailer, the interior was clean and bright. The wood finish on the walls was unstained and the place showed signs of good upkeep. I drove home and talked the idea over with my wife and my Mom. The wife had to agree for us to take it, and my Mom had to let us put it on the lake. Both agreed, and my sons and I started planning on getting it up north. My wife and I agreed that a budget of $500 was all right to spend. We knew that we couldn’t build a lawn barn to use up there for that much money. Calls to find a mover to haul it north for us were made. Prices ranged from $700 to over $3000. I was taken aback by this and did a total rethink. The guy that helped us find the trailer to begin with suggested I try the guy that moved his out to the campground he was at. That turned out to be a cold trail, but I did find a company in Indiana that was willing to do it for around $200, PROVIDING, I put new tires on it so that it would be pretty much guaranteed to make the trip. They no longer make the same size tires for travel trailers that they made in 1955. After countless phone calls to any kind of a place I could think of I was referred to a place that dealt with a lot of farm equipment. They informed me that the size I wanted was no longer made but they did have a cross-reference tire that should work just fine. $135 later a pair of the tires were mine. The bad news was I needed them put on the rims and the rims were still on the trailer, 60 miles away. Several more phone calls to repair stores and a place was found that would put them on at the site, but the cost would be around $200. Getting the tires on proved easier than anyone led me to believe. Even though they were old fashion split rims, the job took just under an hour and the cost was around $170. This put the cost of moving the retreat at the $500 level we had agreed would be reasonable for our budget. I was very pleased and at 11:30 in the morning I left the north central Ohio campground headed for northwestern Michigan. Thankfully the trip was uneventful. Ben, the very nice driver that the transport company assigned to the job did an outstanding job of getting the trailer to the lake and spotting it where I wanted it. We had to chop out a couple of small trees to get it parked in the sheltered area I wanted, but the job went easy and we were done before darkness set in. The last act of the night was to finish putting the lock and hasp on the door of the trailer before I headed north to my friends cabin for the night. I figured it was easier to drive a little farther north and stay at a buddy’s cabin than make the long drive home. Mediterranean, Southwestern, early American and assorted other styles of furniture are discussed in the finest design magazines. We settled on what my sister termed “early garage sale.” The propane stove came from a travel trailer that was being scraped out. The chairs for the kitchen table came from the roadside garbage pickup in the neighborhood. The table was a gift from my sister’s basement. Some pots and pans and silverware came from the local Goodwill store. Two sets of bunk beds came from a buddy in the Reserves that worked for a college that was recycling the bunks they had in dorms. The picture pump for the well came in trade for some home repairs done for a neighbor down the street. All in all the cost of the retreat was under $600. Some expenses that will be incurred soon: a new coating on the roof to insure it stays water-resistant and plywood shutters to secure the windows during our absences. We now have a three-season retreat that allows us to fish, swim, hike, and hunt in the outdoors. We can practice our survival skills, such as fire building and outdoors cooking, and not look like we are doing much more than having a family campout. We are away from crowds and turmoil of the city. Our friends and family think of it as our “vacation” home, but we know that in a time of crisis we have a survival retreat to go to, and under $1000 cost. A failure to properly communicate with others about your intentions can often have disastrous consequences. The simple act of leaving a note that explains where you are going, how long you expect to be gone, and when you plan to be back can be the difference in whether or not you survive should something go terribly wrong. It can also help you to establish a goal for for survival. If someone knows when to expect you back, they will know to come looking for you. You will be able to set a goal for how long it will be necessary for you to"go it alone" until help will arrive. A short note left in your car or at home explaining your travel or hiking plans can make a big difference. Your odds of rescue on a desolate back country road or a wilderness hiking trail go up dramatically by the simple act of leaving a note. If nobody knows where you are, how you plan to get there, where you are headed once you reach your destination and how long you plan to stay, you could find yourself in a very dangerous situation.